God’s Word Is His Will! The Bible promises that when we pray according to God’s will, He hears us. But many people pray in vain because they don’t know what God’s will is. The Bible promises that when we pray according to God’s will, He hears us. But many people pray in vain because they don’t know what God’s will is. God's Word is His will! 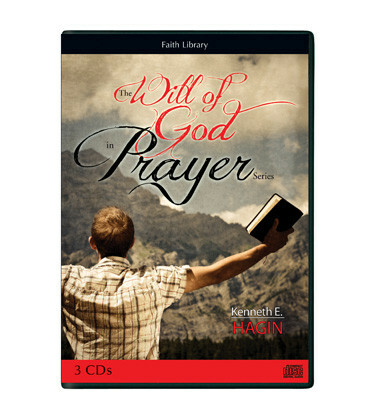 In this 3-CD series, Kenneth E. Hagin explores the Scriptures and instructs believers on how to use the Word of God in prayer. This series answers such questions as: • What is the will of God concerning salvation, healing, and prosperity? • What did Jesus, Paul, and other New Testament writers say about prayer? • Why is it so important to abide in God’s Word? • How can we be confident that God will hear and answer our prayers?